Headboards or headboards and footboards can be connected in a many different ways, but simply fastening them up with nuts and bolts is one of the easiest and most trouble free methods to attaching them securely. 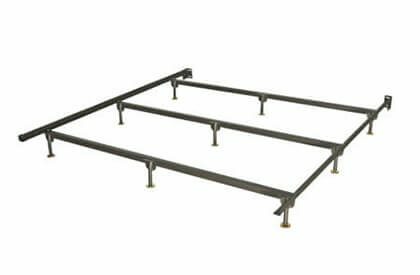 You simply need a steel bed frame with a flat mounting plate. It will either have aligned holes with your headboard or slots that give you more versatility to fit a greater variety of beds and bed heights. Either way you simply align the holes in the mounting plate with the holes in the headboard legs and push correct length bolt through the leg of the bed. Slip the washer over the shank of the bolt and then thread on and tighten the nut. 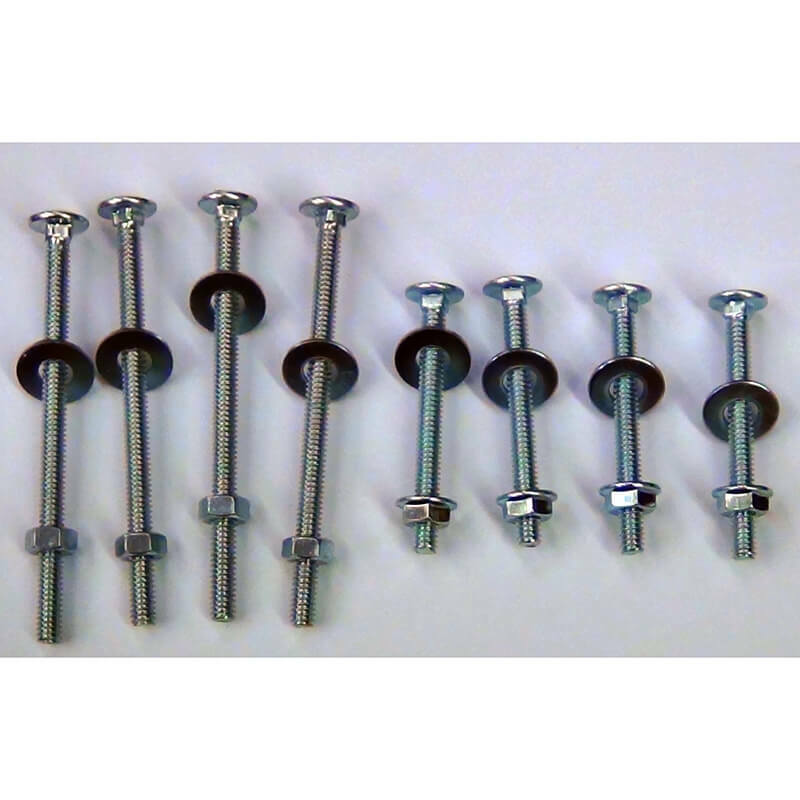 Our complete kit includes 2 different length bolts so you get it right the first time. No need to guess and risk having to return. Why? Because we send you everything you need so you get the correct length the first time. The extras can be used for something else, stored for extra parts or disposed of. 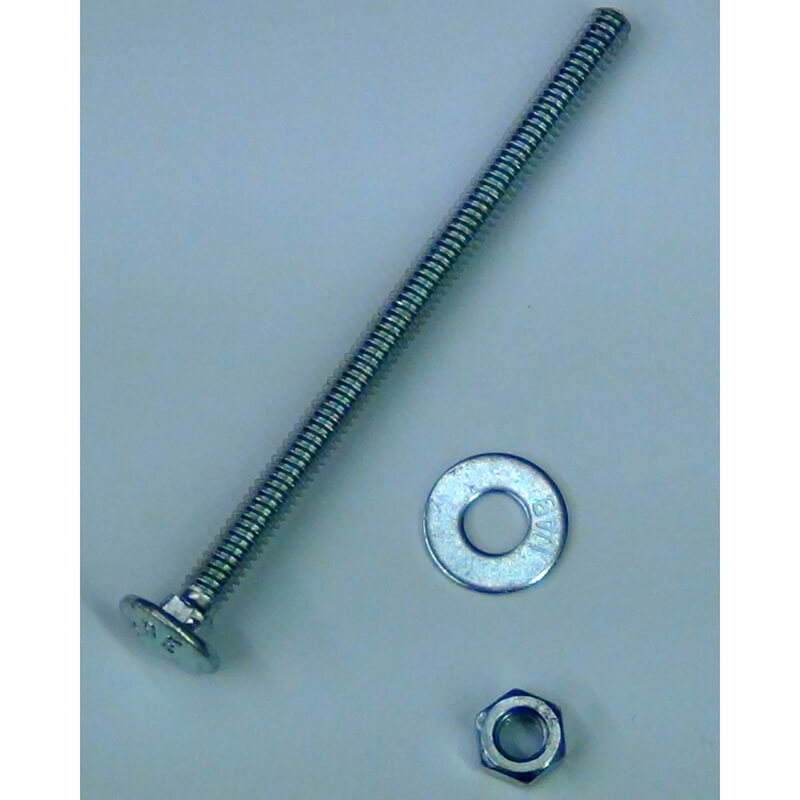 The rounded carriage head bolt is does not protrude in back of the headboard eliminating the possibility that the bolt head could cause damage to your plaster, dry wall, or painted wall where a smooth finish is necessary. 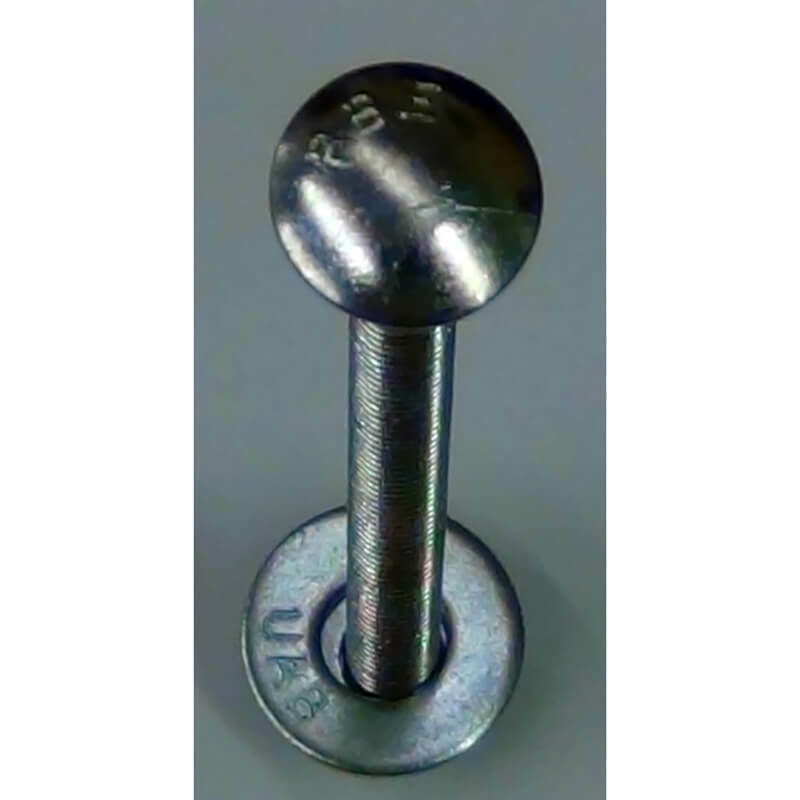 The square shoulder underneath the rounded head is unique when compared to other bolt heads because this design has the ability to resist turning when the nut is removed or tightened. They are good for wood-to-metal mounting plate connections when the head may not be accessible for tightening.